Could You Forget To Check Your Mega Millions Lottery Ticket? When your winning numbers don’t come in you can always try for a second chance and, who knows, perhaps you could be a big winner then! On the 28th anniversary of the West Virginia Lottery, the Agency decided to celebrate the event by giving gifts totalling more than $1 million. 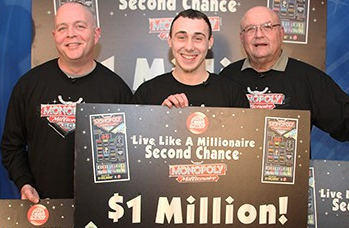 They selected three finalists by using a second chance drawing for the $10 million Monopoly Millionaire instant game. The winner of the $1 million, Josh Schoolcraft was absolutely speechless when he saw that he was the big winner of the $1 million, however, he was quick to point out that the three finalists had agreed that, no matter which way the draw came, they would pool all the money and split it evenly. That means they each took home a healthy $253 450 after taxes, nothing to be sneezed at by any means. 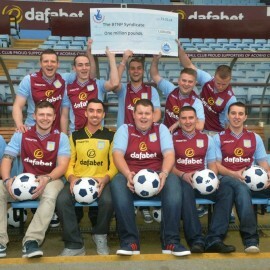 The finalists had never met before and didn’t know each other, they just wanted to be sure that they would each go home with a sizeable amount in their pockets. The West Virginia Lottery was created on 9 Jan 1986. Since then, Orcutt said lottery proceeds have added up to $7.4 billion for public education, senior services and the state’s tourism industry.